Escape the bustle of the Las Vegas Strip and get up close and personal with one of the world’s most iconic manmade wonders. 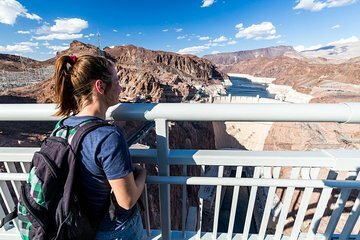 On this guided visit to the Hoover Dam, you’ll get a personalized experience, with plenty of informative, hands-on background from your guide. Tours include a walk across sky-high Memorial Bridge and door-to-door hotel pickup.